A quick internet search for Command Prompt codes produces all kinds of results... most of them completely different. 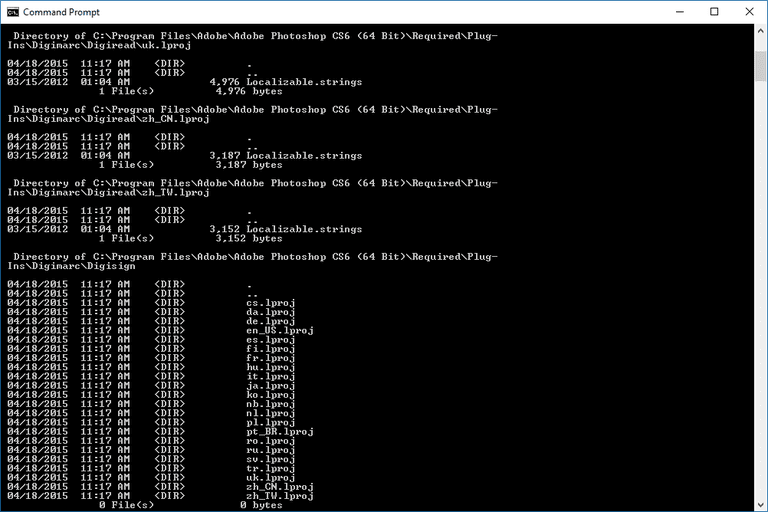 Why all the confusion about Command Prompt codes? Isn't there a firm list of Command Prompt codes somewhere to look at? The fact is, there is no accurate "Command Prompt Codes" list to be found because there's no such thing as a Command Prompt code. See the Prompt Command Codes section at the bottom of this article for an important clarification! For whatever reason, there's a misunderstanding among some computer users (and some that should know better) that the tools and executables available from the Command Prompt in Windows are called "codes." They are not. The term code, in the computer world, typically refers to source code, which is the text used in a computer programming language. What you're actually looking for is a command of some kind. A command is an instruction given to your computer, certainly not a code to be decoded in any way. Command Prompt commands are the command-line based programs that perform different functions like displaying lists of files, troubleshooting network connections, formatting drives, etc. See our List of Command Prompt Commands for a complete listing of these commands. We also keep a list of DOS commands, as well as a one-page table of all the commands Windows and MS-DOS has ever used. Most people searching for Command Prompt Codes are probably really after Command Prompt commands. Run commands are the executables for the programs you use in Windows. In other words, a run command is the name of the file that starts a program. For example, the run command for Internet Explorer is iexplore. See our List of Run Commands in Windows 8 and List of Run Commands in Windows 7 pieces for a comprehensive list of run commands in those operating systems. We don't yet have a list for Windows 10, Windows Vista, or Windows XP. One of the many commands available from the Command Prompt is the prompt command. The prompt command is used to change the appearance and behavior of the actual prompt text that precedes the entering of commands in the Command Prompt window. The many customization options available to the prompt command are sometimes referred to as codes and when discussed outside the context of the prompt command, they're sometimes called Command Prompt codes, though they're more accurately called Prompt Command codes. So if you truly are looking for the codes available to the prompt command, open Command Prompt and execute prompt /? to see them displayed. Otherwise, check out the links to Command Prompt commands and run commands in the sections above.